Promise your life to another with this wedding band by Tolkowsky, the inventors of the ideal cut. 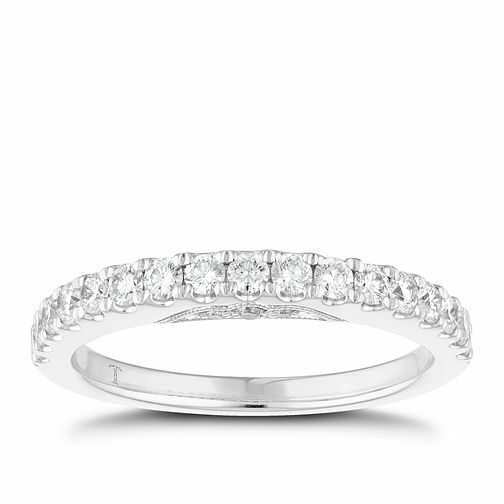 The precise formula of the ideal-cut allows for exceptional fire and brilliance, and has been applied to every diamond set into this ring, giving it a much better appearance to the eye. The half-eternity design also features a plain bottom to allow for better everyday wearing. The total weight of all diamonds combined is 1/2ct.